Hyatt House Niseko is just a short walk to the ski lifts, and Hirafu’s premier restaurants and entertainment precincts can also be found mere steps from the lobby in any direction. However if you don’t want to venture out into the cold there are six food and beverage outlets in house – including a Michelin-star restaurant. 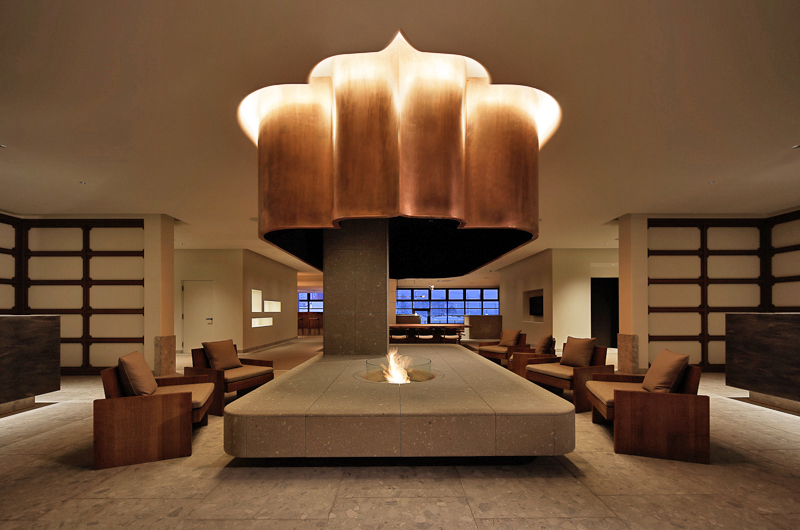 Our team stayed here – read more about our stylish stay at Hyatt House Niseko. Hyatt House Niseko brings international hotel luxury and service standards to the centre of Hirafu. 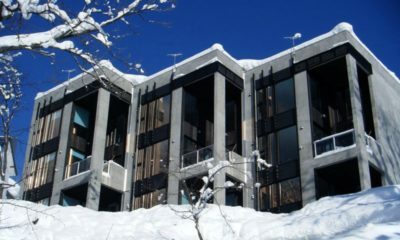 Comfort, quality and convenience underpin the Hyatt House Niseko experience, while champagne powder snow and jaw-dropping views are the icing on the cake. 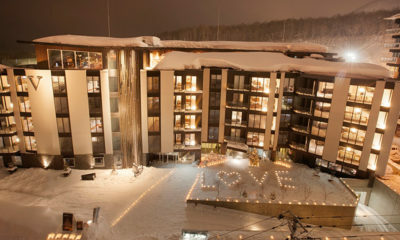 From every apartment floor-to-ceiling windows frame breathtaking views of either Mt Yotei, the Niseko ski fields which are exquisitely illuminated at night, or a quaint creekside forest and the surrounding snow-covered village. The hotel features 63 spacious suites including six penthouse apartments. There are six F&B outlets in house: Michelin-starred Kamimura plus the chef’s new offshoot Kitchen; Hyatt House-brand H Restaurant and H Bar; Temporada tapas bar and Green Farm Café. H Market grocery-store kiosk provides light snacks and meals for guests to take back to their apartments, while the local convenience stores 100m away stock an extensive range of supermarket items for most daily requirements. A 24-hour fitness centre, high-end ski and snowboard rental store and ATM round out the convenience of onsite facilities. All guests have private ski lockers and access to boot warmers to dry out any cold or damp for the following day. At the end of the day you can back in your suite with ultra-highspeed internet, Apple TV with Netflix and premium quality entertainment systems. Fully equipped kitchen, large dining table, cozy corner, 42” flat-screen TV, individually controlled heating, plush robes and slippers, hair dryer, full sized fridge, Nespresso coffee maker, iron and ironing board, in-room safe, futon available upon request, crib upon request. Mt Annupuri (ski field) view, fully equipped kitchen, large dining table, cozy corner, 42” flat-screen TV, individually controlled heating, plush robes and slippers, hair dryer, full sized fridge, Nespresso coffee maker, iron and ironing board, in-room safe, futon available upon request, crib upon request. 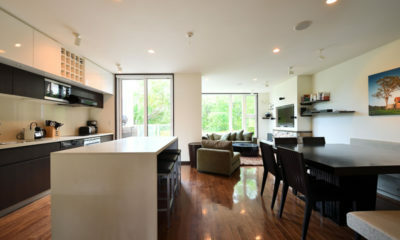 Mt Yotei view, fully equipped kitchen, large dining table, cozy corner, 42” flat-screen TV, individually controlled heating, plush robes and slippers, hair dryer, full sized fridge, Nespresso coffee maker, iron and ironing board, in-room safe, futon available upon request, crib upon request. Mt Annupuri (ski field) view, floor-ceiling windows, terrace, fully equipped kitchen, dining table, 42” flat-screen TV, individually controlled heating, plush robes and slippers, hair dryer, full sized fridge, Nespresso coffee maker, iron and ironing board, in-room safe, futon available upon request, crib upon request. Mt Yotei view, floor-ceiling windows, large terrace, fully equipped kitchen, dining table, 42” flat-screen TV, individually controlled heating, plush robes and slippers, hair dryer, full sized fridge, Nespresso coffee maker, iron and ironing board, in-room safe, futon available upon request, crib upon request. Mt Annupuri (ski field) view, floor-ceiling windows, large terrace, fully equipped kitchen, dining table, 42” flat-screen TV, individually controlled heating, plush robes and slippers, hair dryer, full-sized fridge, Nespresso coffee maker, iron and ironing board, in-room safe, futon available upon request, crib upon request. Mt Yotei view, floor-ceiling windows, terrace, fully equipped kitchen, dining table, 42” flat-screen TV, individually controlled heating, plush robes and slippers, hair dryer, full sized fridge, Nespresso coffee maker, iron and ironing board, in-room safe, futon available upon request, crib upon request. Hyatt House Niseko is located on the upper side of Route 343, one of the main roads that runs through Hirafu. This is the heart of Hirafu Village and in the thick of it all with shops, restaurants, amenities and excitement all around. Let’s not forget the skiing. It’s a five to 10-minute walk across flat terrain to the family lift. This lift can give advanced skiers a lift further up the mountain. Otherwise the free village shuttle stops about 50m away and can take you to any lift in Hirafu. There are six restaurants within Hyatt House Niseko itself, and within a five minute walk are 20 or 30 of Hirafu’s best restaurants and a dozen or more bars. If you don’t feel like walking to a farther restaurant, the free village-loop shuttle stops just a few metres from the building. I love the location of Hyatt House it’s brilliant! You have access to shops, restaurants, bars, equipment hire stores and the list goes on. The apartments have a cool style, fast WIFI, and downstairs in the common areas there are 3 restaurants to choose from plus my favourite Green Farm Cafe on the street side which has yummy food all season round. If you are hiring a car than this property has under cover parking. Property in good central location. Perfect for families.